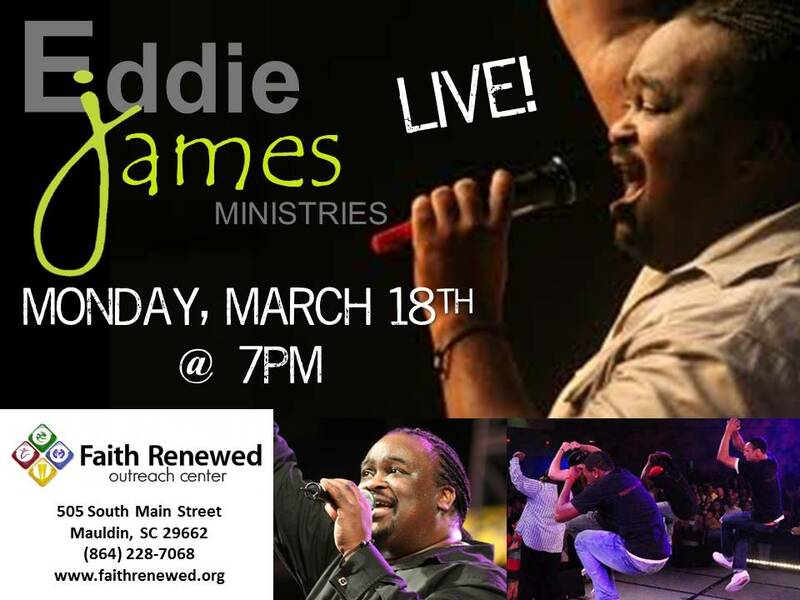 We’re VERY EXCITED to have Eddie James Ministries at Faith Renewed. SO, let’s make both happen with this post. The date is Monday, March 18th at 7 pm. Doors open at 6 pm. This is a free event. No tickets required. A love offering will be received. Come prepared to give, & bless their ministry. Seating is limited. Hopefully, we will be able to get everyone in that shows up. We will not have any special seating. We’re praying that the Lord does something special in the heart of each person that attends. There have been many lives changed as a result of this ministry.